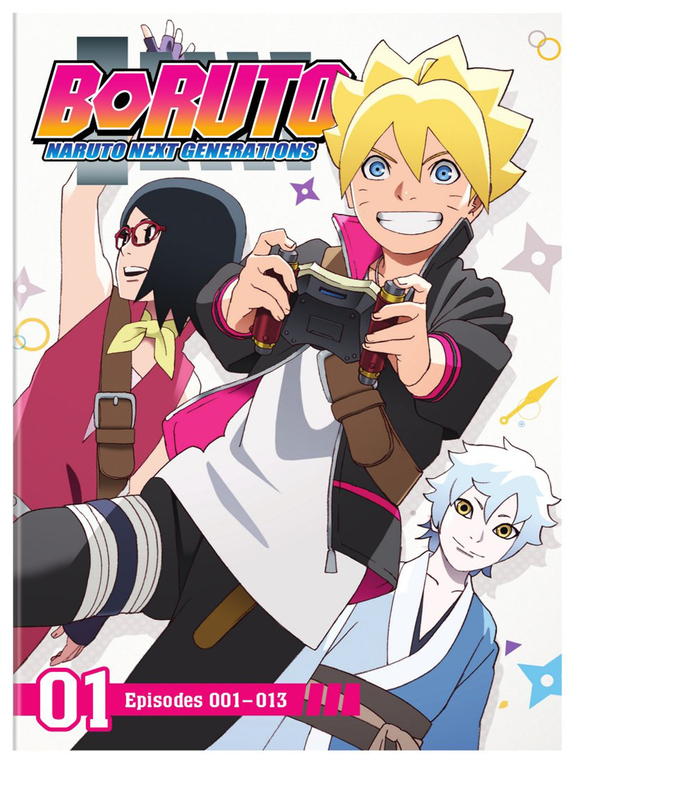 Boruto: Naruto Next Generations Set 1 contains anime episodes 1-13 directed by Noriyuki Abe from Studio Pierrot. Meet Naruto's son! His name is Boruto and he's just like his dad - unfortunately. He's rambunctious, rebellious, and more than a handful! 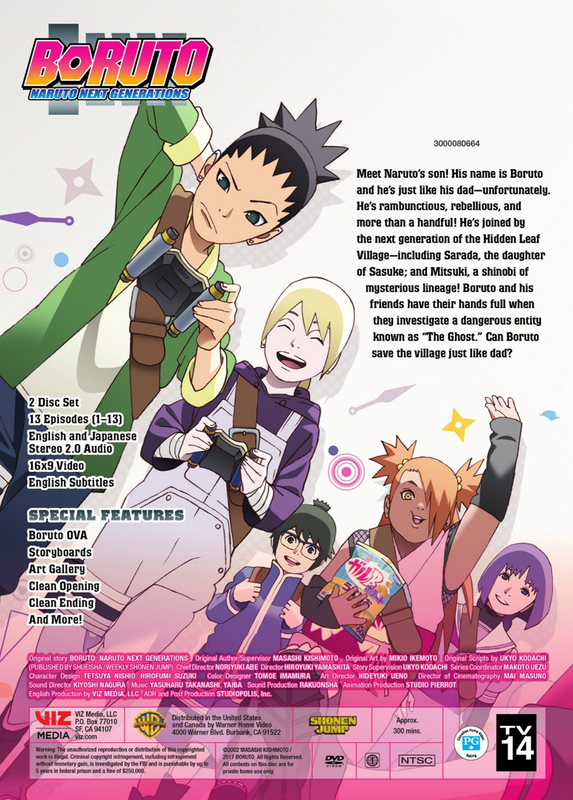 He's joined by the next generation of the Hidden Leaf Village - including Sarada, the daughter of Sasuke; and Mitsuki, a shinobi of mysterious lineage! 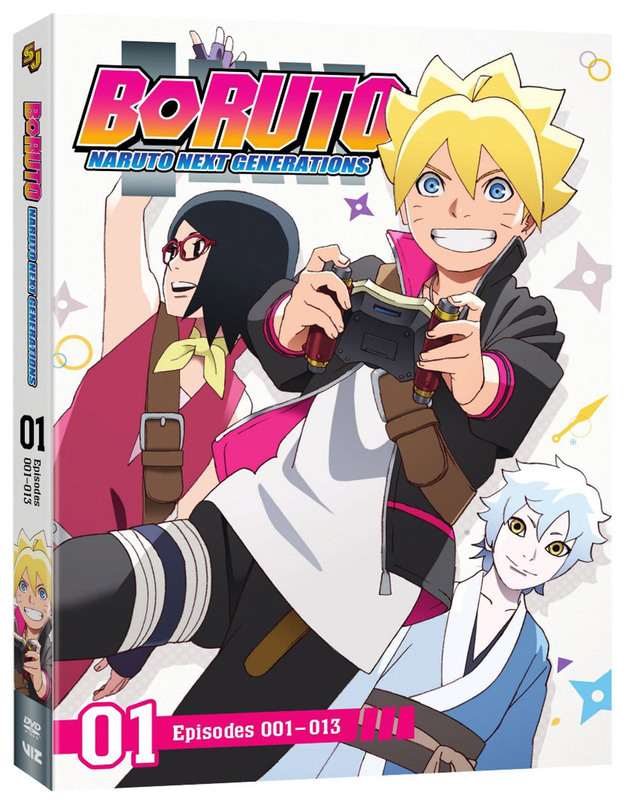 Boruto and his friends have their hands full when they investigate a dangerous entity known as "The Ghost." Can Boruto save the village just like dad?